Discussion in 'Z3 M Roadster & Coupé' started by Z3Mroadster, Jan 5, 2014. Which fuel consumption is normal for M roadster on the open road,out of town,normal driving? Let's say,which fuel consumption is with normal driving,80 km/h in 4th gear? 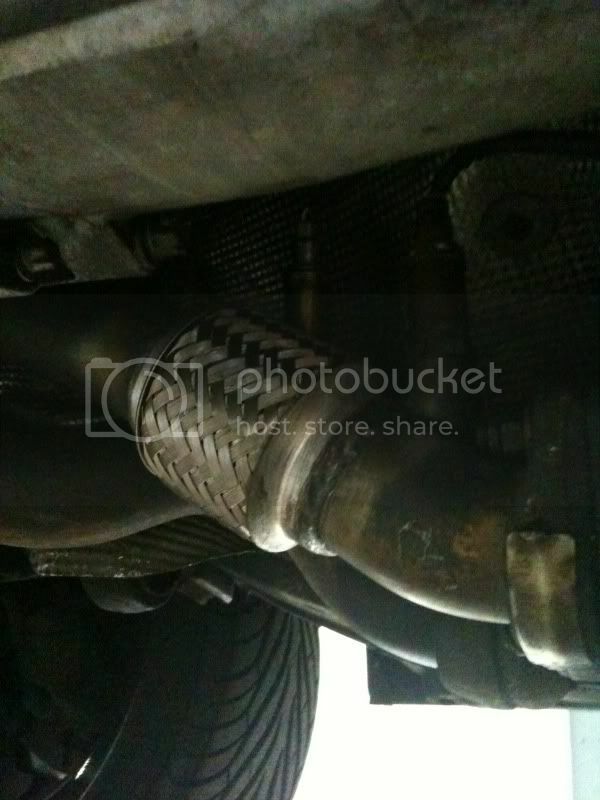 I noticed there was punctured flexible hose exhaust (part on picture),is it possible that because the car has less power, poor acceleration and higher fuel consumption!? Is the exhaust blowing then from the flexi joint as I am sure it will have an effect on power/economy if it is. I get around the same as Liam with high 20's on a run to low 20's around town and spirited driving. Ohh added the picture to your post saving people having to click the link.